Koyomi Mizuhara, commonly known as Yomi, is a grade-school friend and general antithesis of Tomo. She is the voice of reason of the series, carrying herself as the most mature and serious of the group. Though smart and athletic, she is constantly dissatisfied with herself due to her weight and is always trying various diets in an effort to become thinner. She can never seem to stick to these diets however, as she finds herself constantly tempted by her favorite foods. Another weakness of Yomi's character is that while she is above average in everything else, Yomi is an awful singer, but karaoke is one of her favorite pastimes. While usually functioning as Tomo's "straight man", she sometimes manifests a rather cruel sense of humor. Yomi also has an uppercut that Tomo is usually on the receiving end of whenever she pushes Yomi too far. 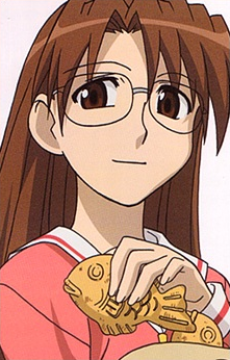 However, even though she likes to think that she is well above the childish behavior of some of her classmates, Yomi has demonstrated in the story that she can be just like the rest of the characters on certain occasions, such as trying to get Chiyo to infuse a shrine charm with some of her intelligence so that she could pass her college entrance exams.